Legendary pokémon are one of the ways Niantic is reviving Pokémon Go, whose popularity has waned significantly since it came out last year. Not only are they ultra-rare, but they’re often seriously difficult to capture, bringing an element of challenge into the game. Starting from today, there are three new legendary pokemon to capture, all from the Johto region depicted in Pokémon Gold, Silver, and Crystal. Raikou is an electric-type pokémon that’s currently hanging out in the Americas. 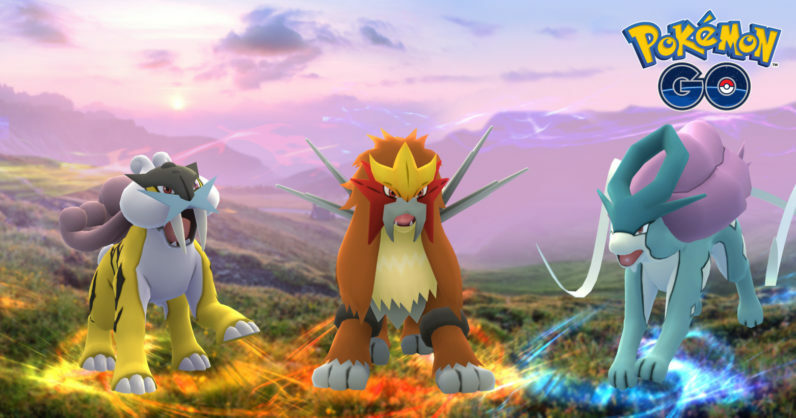 Players in Europe and Africa, trainers will be able to capture the fire-type Entei, while Suicune is currently inhabiting the Asia-Pacific region. Thankfully, you won’t have to hop on a plane to catch ’em all. On September 30, the trio will switch regions, and again on October 31. Better stock up on Ultra Balls!